eBay have announced that they are to add image search capabilities, allowing searchers to use pictures instead of words to find products that they are interested in buying. The technology uses artificial intelligence and machine learning, gives two options - Image Search and Find It On eBay. Artificial intelligence and machine learning are already used in a number of ways across the eBay experience, making searching easier for customers. With over 1.1billion products listed on eBay, search is an important feature, and the more options that are available for customers to find products the better. Written searches aren't always the best way to find a product, and this new search feature gives a new option for them. Image search uses technology which was developed during eBay Hack Week, which allows searchers to take a photo of a product that they are looking for into the search bar, resulting in listings which are visually similar and available for buying. This will be available on Android and iOS at launch. The Find IT On eBay function allows searchers to use images from social media or their web browser, add it into the search bar and give search results. At launch, this will be available on Android. According to eBay, uploading images for image search or find it on eBay option, an advanced machine learning option called convolutional neural network is being triggered, and it is responsible for processing images. The results are then ranked based on the similarity of the images listed on eBay, and displayed to the user, using the Kubernetes open source platform. This option is operational anywhere in the world. Mohan Patt, eBay`s Vice President of the buyer experience, says that the shopping inspiration can come at any moment, no matter if you are browsing your social media accounts or walking down the street. Their focus is on providing their shoppers with the new technologies that will enable them to find what they are looking for in the easiest way possible and at the best prices possible. This new feature is another show of how eBay are concentrating on the customer experience - helping not only consumers finding products but also sellers to have their products found. 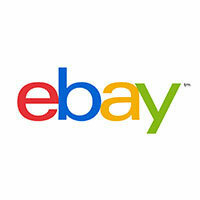 This yet again strengthens eBay`s place in the market as one of the worlds strongest online marketplaces.